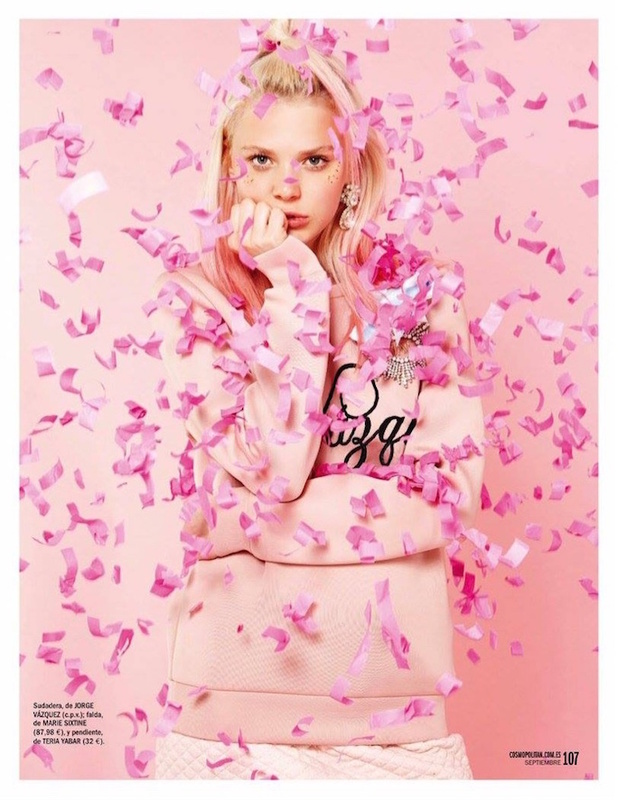 Color of the moment, PINK, takes center stage in Cosmopolitan Spain's fashion editorial 'La Vida En Pink'. Model Katty Trost donned pink from head to toe with dip-dyed cotton candy colored hair but and showed the color can be both sweet and sassy. This season make the color your own with clothing and accessories including pink moto jackets, pastel pants, blush sneakers and more.